Home » Food and Nutrition » Is Your Relationship to Blame for Your Poor Diet? You may have heard that stress can affect your food choices; many studies suggest this correlation. But did you know that a rocky relationship with a spouse or partner can lead to a devastating diet? 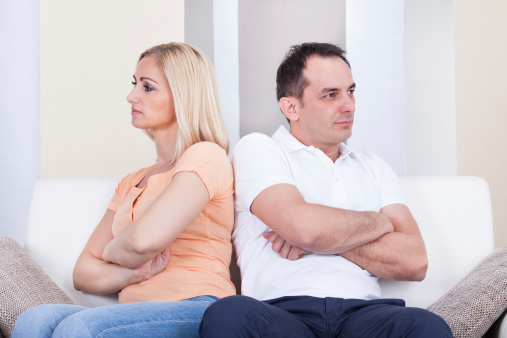 If you are constantly embroiled in arguments with someone while living together in close quarters, it can be nearly impossible to live a happy lifestyle. Watching some of my friends, I’ve seen the effects a negative relationship can have on an individual’s overall quality of life and new research shows this negativity reaches far beyond mental health concerns like sadness, anger, stress, depression, or other psychological trauma. Last night, I was doing some research and came across a study published in Clinical Psychological Science that caught my eye. The study linked negative relationships with people to negative relationships with food. As the study discusses, couples who exhibit hostility towards each other tend to make poorer food choices that ultimately impact their weight and health, meaning a tense marriage could be to blame for your poor diet choices. How did they make this connection? Well, the study followed 43 couples who spent a lot of time arguing and then recorded their eating habits after these arguments. In a clinically controlled setting, they tracked hormone levels and saw that ghrelin—the hunger hormone—surged following arguments between married couples. But these arguments aren’t sending couples to the salad bar. Instead, they’re reaching for sugary, salty, fatty “comfort foods” like cookies, ice cream, chips, and pizza. Foods like this offer a brief satisfaction and escape from problems, but they do nothing to help in the long-term, especially if you’re always arguing with your partner. The research did not prove cause and effect, but it had an extremely close correlation. The links were strong in both genders, and highest in couples who were either overweight or of normal weight, but not obese. Try to pick your battles and understand that there are things that just aren’t worth arguing over. If you can’t seem to stop fighting but it’s not enough to leave the relationship, then your second option is to be conscious of what your arguments are pushing you to eat. Next time, instead of reaching for a bag of chips, get a bag of baby carrots. Of course, any health concern is best addressed by focusing on the root of the problem—in this case, it’s your stressful relationship. Explore why you’re constantly fighting with your spouse and how you feel about it all. Once you’ve identified the reason and your feelings, calmly talk to your partner in a non-combative manner. And as important as it is to express how you feel, you must let them express how they feel too. Openness and attentiveness, along with the abandonment of ego, is the cornerstone of quality communication and the key to avoiding arguments that could lead you down a path of weight gain and countless health concerns. Simply put: you can build a healthier future and diet through a healthy relationship with your spouse. Protect yourself from heart disease, diabetes, and weight gain by cutting confrontation in your relationship. Jaremka, L.M., et al., “Novel Links Between Troubled Marriages and Appetite Regulation: Marital Distress, Ghrelin, and Diet Quality,” Clinical Psychological Science July 29, 2015, doi: 10.1177/2167702615593714. “Link between marital distress, poor food choices found by study,” ScienceDaily web site, August 14, 2015; http://www.sciencedaily.com/releases/2015/08/150814145935.htm.